Subscribe to the TIPS Report for analysis of angles & plays! NEW Essay: "Reports from the Field" - Read it here. Yet more Reports from the Field, this time related to the Four Aces+2 Software - read them here! New! Visit this page for all current promos, updates & news! Handicapper reports cashing in on a $44.80 horse and a $190.40 Exacta with The Fitness Factor Spot Play - click here to read his exciting message! Best Bets are sizzling hot! SPECIAL! 50% discount on all Best Bets Selection Service plans! "I just wanted to take a moment and say how pleased I was with your Breeders Cup analysis. Played Saturday's card. (Working all day on Friday). I should have followed the paradigm you write about and stopped after race 7. I put up $100 through race 7 and had a return of $225.75. In race 7 I used your picks and had a $13 show wager on #9, a $0.50 (for $3) tri box with 1,5,9 (return of $31.3) and I got creative and use the 1,5,9 combo on top of using the 2 in fourth place for a $0.50 superfecta bet ($3 total) return of $90.25. It was a fun day using your picks. Thanks so much - looking forward to next year, a Best Bets subscriber." We invite you to take a look through the site to see what handicapping spot plays, selection services and subscriptions serve you best for finding winning opportunities at all the tracks running now and throughout the racing year. Give Jon Worth a call with any questions at 401-921-5158. We always find it interesting to talk with fellow handicappers. We offer you plenty of ways to be in on the action and to gain an edge over the betting public. Subscribe or renew to any of our Selection Services, Best Bets and/or Classic Service, subscribe or renew to the TIPS Report as well as back issues of the TIPS Report, downloads and any number of our handicapping spot plays and methods such as The Fitness Factor, The Even Finish, a dynamic long shot spot play - get a variety so you're ready to be the best at the best of racing. "Well done Jon....In the less than two weeks that I have received your selections I have done quite well. I made two separate bankrolls. One, playing the win/show (I bet even heavier on show) and the second bankroll I fudge a bit...Both bankrolls are up substantially....Taking the conservative approach is the best in the long term." Here at "Tom Worth" you will find a trusted 2nd generation handicapping professional & educator known for offering top-notch and highly effective handicapping publications in an easy to understand manner ... someone who greatly enjoys doing so and will be there for you to answer any questions! Moreover, here you will find what many handicappers consider to be some of the best spot play methods & systems ever - methods highly acclaimed through the years with proven results for picking winners and horses who finish in-the-money on a steady basis! Plus, if you don't already own The Even Finish, we strongly recommend for you to own this powerful method. The Even Finish method can quickly, and often frequently, isolate strong, well meant selections who have an excellent chance to win or finish in-the-money, and often times at long shot odds. We've been hearing terrific results from handicappers across the country, so don't miss out - give Jon a call! To read a description of The Even Finish Spot Play Method, please click here. ♦ An arsenal of money-making horse racing systems and spot play methods. ♦ The TIPS Report, now in its 21st year. "TIPS" are dynamic handicapping angles & factors. Subscribe today for your opportunities to WIN. ♦ A top-notch selection service. ♦ The TIPS Update, with over 80 angles & 15 hot contender screens. ♦ A wide collection of previous issues of the TIPS Report, with each issue developed to hone your handicapping skills and thus each issue is truly like a handicapping seminar. Our methods are used by handicappers of all levels of experience and with great success - through the decades we've been honored with scores of repeat business from both just those starting out and also from astute and exceptional handicappers, many of whom we call colleagues and friends. "Hey Jon - Your Show a Profit is the closest thing to the holy grail of horse racing systems.....works best in sprints." We have an array of proven handicapping spot play methods and systems designed to help you find a horse that is fit and prepped to run in-the-money today. Methods, such as the Fitness Factor, Big Four Plus One, Place-to-Win for Sprints, Place-to-Win for Routes, Show-a-Profit, Improving Beyer Figures and more, discuss how to determine trainer intention and handicapping signals that point to a fit horse ready to run his best effort today. Most of them are quite easy to use! Please visit this link for the list of spot play methods. As experienced handicappers know, you need to have a variety of spot play methods so that you are ready to tackle most any type of race and racing conditions! 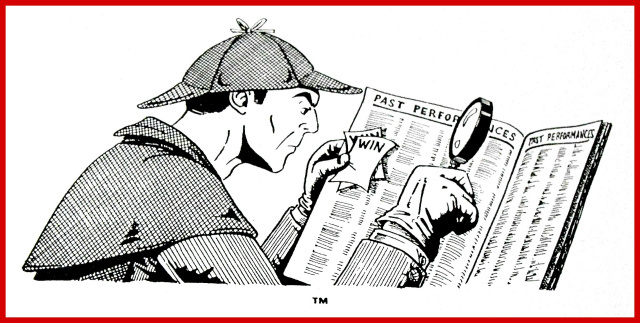 And if you just don't have the time to handicap as often as you'd like, we also offer a Selection Service by Jon Worth - publisher of the TIPS Report, author of many spot plays, a handicapper with 30 years experience and son of the late Tom Worth, a greatly respected handicapper, who some called the "Dean of Handicapping!" Thus, you could say that handicapping is in Jon's blood! We strongly recommend for you to keep your skills sharp by subscribing to the TIPS Report! The TIPS Report is for all levels of handicappers, from those just starting out to ones who are highly experienced. We have many skilled handicappers on board who contribute to the TIPS Report by reporting winning angles they’ve used. Visit this link to learn more! Or, give the TIPS Report a try for one issue to see what it's all about! If you want to put TIPS into action for yourself, we highly recommend the TIPS Update filled with over 80 handicapping angles many of which the betting public has overlooked, which is greatly beneficial for those of us who are in-the-know! If TIPS handicapping sounds familiar to you, Jon's dad, Tom Worth, was the publisher of the highly acclaimed POPS & TIPS handicapping methodology, which came out as separate parts for a total of 21 parts. Jon helped his dad with many of the latter chapters of the TIPS Methodology. It's easy to order any of our publications and subscriptions. We offer three ways to order: directly on the website with PayPal, or by phone at 401-921-5158 with your MasterCard or Visa, or by mail with a check or money order. Align yourself with Tom Worth Publishing for an ongoing education on how to find winning selections, especially those that others have missed! To learn more about us and how we got started, please visit our About Us page.